Can you believe it’s already the end of January? Since we have oshogatsu yasumi (New Year's holidays) in Japan, it feels as if time flies by so quickly. We hope you enjoyed your fresh start to the year with our ZenPop boxes! 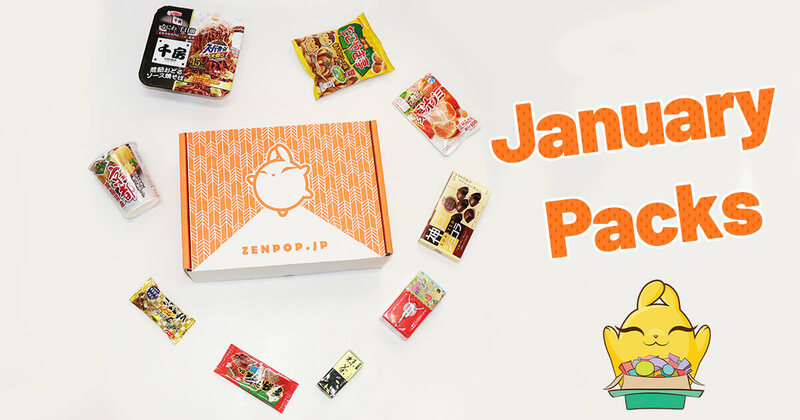 ZenPop and our parent company Zenmarket are based in Osaka, in the Kansai region of Japan. The region includes the prefectures of Mie, Nara, Wakayama, Kyoto, Osaka, Hyogo and Shiga. Kansai has a unique culture and is famous for offering amazing food. We started the New Year with a BANG with a selection of spicy ramen noodles, including Chinese Mapo, Korean Kimchi Chige, Japanese Mentaiko and spicy miso for you to enjoy different spiciness levels. Oh, and did we mention how addictive these flavours are! What flavor did you like the most? We curated a pack filled with fun items like Sailor Moon washi tape, sparkly Sanrio correction tape and peach-scented poo stickers to add a little sparkle and joy to your stationery set or pencil case. Cheese-flavored sweets are enjoyed across the world, but we wanted you to experience a taste of Japan’s cheesy snacks, including Super Kari-Kari PRETZ Cheese flavor, which could be enjoyed as an appetizer, along with some olives. Enjoy our cheesy sweet selection and fill yourself with cheese and happiness!